This is AC Alert for Alameda County. 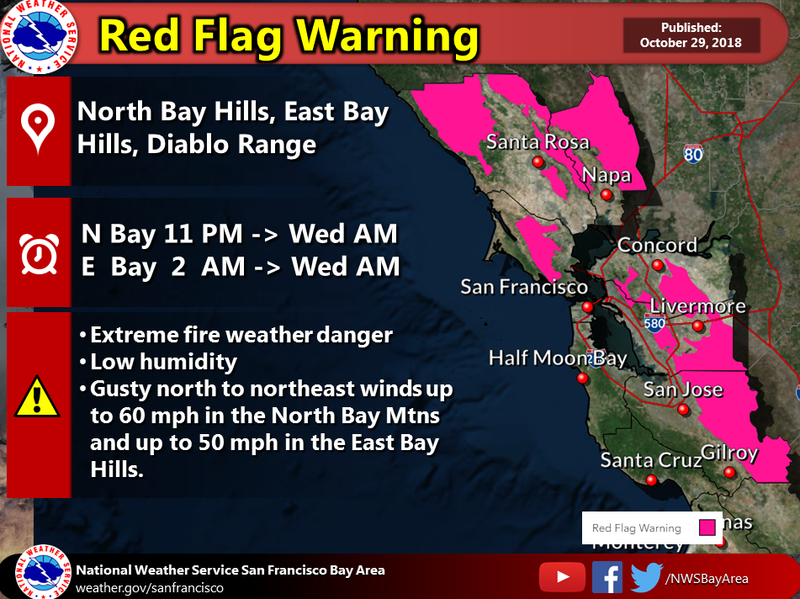 The National Weather Service has issued a Red Flag Warning for Monday October 29th until Tuesday October 30th due to high winds and dry conditions. Winds will gust over 20 mph and as high as 50 mph in the East Bay Hills over 1000 foot elevations. Any fire that starts will be spread rapidly. Stay alert for local weather and news updates and follow the directions of local Fire Officials.